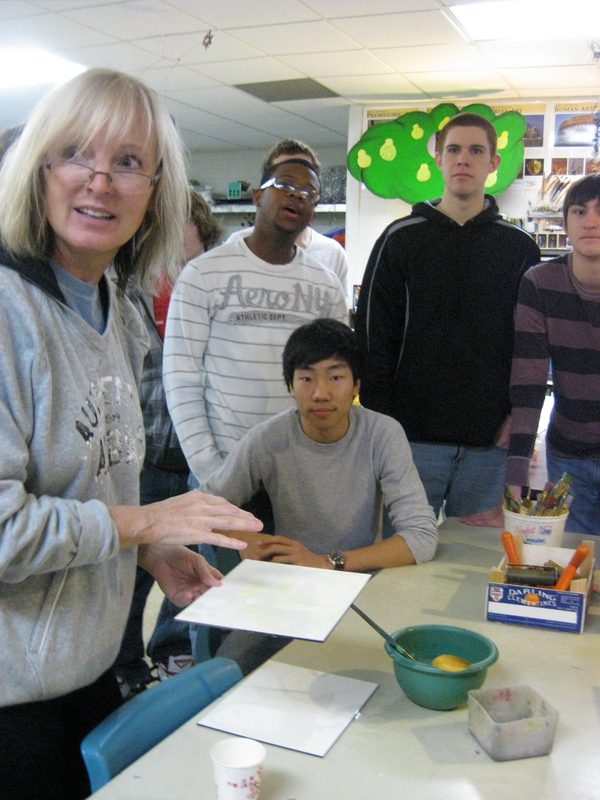 Drawing and Painting I students have enjoyed the instruction of real-world abstract artist, Julie Quinn . 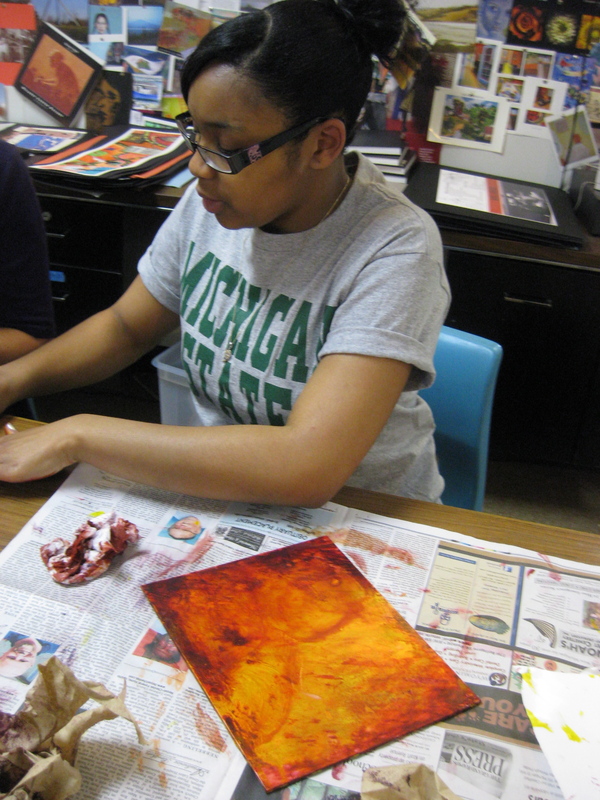 Students have reflected on passages from the Psalms and created spiritually inspired works. This entry was posted in Uncategorized and tagged high school art, real-word. Bookmark the permalink.